Measure or Weigh - Which is Better? The idea that one miss-scooped cup of flour will ruin a baking attempt is a scary one, and makes baking seem intimidating. Why deal with all that risk when a boxed mix is a sure bet? One way to ensure correct proportions, especially in a new recipe, is to use a kitchen scale. Instead of measuring ingredients using cups and spoons, a kitchen scale gives accurate measurements in grams. This helps alleviate the question of how firmly packed the brown sugar should be, or if the cups of flour are sifted or not. I have a traditional manual scale that I've been using for years, especially for my French baking and pastry recipes that are usually only written in grams. I was recently asked to step into the modern world and test the Smart Weigh 500 x 0.01g Digital Pro Pocket Scale. What I love about using a digital scale like the Smart Weigh scale over my dear manual scale is the TARE function. Flashback to high school chemistry class - the TARE function lets you subtract the weight of your container. I used to weigh my bowl on the scale, then add the weight of ingredients for the recipe, for a close-enough weight. Now, I can use the TARE function to set the scale to start at zero with the bowl and then measure a precise ingredient weight. No more approximate rounding to the nearest big number on the scale face, now I have much more precise measurements. When it comes to baking, I've heard it been compared to a science where every last gram will make or break the recipe. I disagree. But a scale can make the measuring much more accurate without the mess of sifting for an accurate cup. I list my recipes in cups and spoons since that is what is in most American kitchens and what we grew up cooking with. For some recipes, for the French baking school crowd, I also include grams. Here are a few you might enjoy! 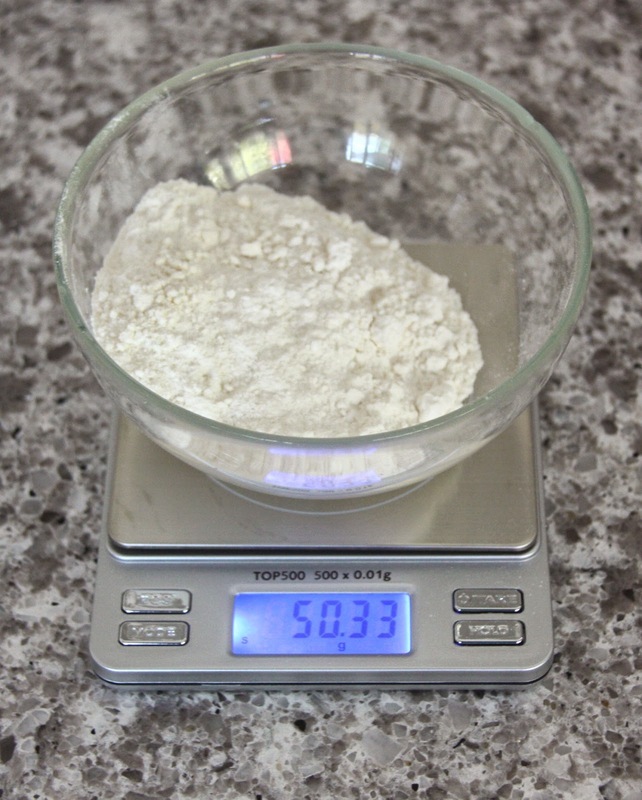 Do you weigh or measure your ingredients when baking? Have you noticed a difference between one method and the other? This looks really practical, I know how important it is to have the wright quantities when baking. Lets say I've ruined some recipes, but I've learned. This looks like a really nice scale. I have to be honest, I never weigh my ingredient when baking. I guess it all depends on what you're doing. I personally always measure. I have never weighed anything white cooking/baking - I usually measure. But this scale looks awesome! I don't cook or bake, or I rarely bake, when I do I measure rather then weigh, but I watch a ton of cooking shoes and competitions and they all seem to weigh the ingredients. I measure the ingredients. Or with more familiar recipes I just put them together and taste or test if they are correct. I've done both depending on the recipe! I think weighing is my true favorite (so precise! ), but so many American recipes are measured that I tend to go that route more often. I just measure because I'm lazy and my kitchen is too small to keep a scale hanging around all the time. I'm really bad and I don't measure or weigh, I just eyeball the amount for what looks best. I usually bake with gluten-free or even grain free flours, so I'm not exactly getting gourmet pastries anyhow. But, I'll say that your argument for weighing is actually pretty convincing. I measure because I don't have a scale. A lot of the time, though, I don't even measure. I am too impatient to follow recipes! Weighing sounds more exact but also exhausting haha. Im just starting to bake and I can't imagine weighing each thing. I have never weighed my ingredients before, but it sounds like it would make for some better baking on my part...I usually end up using tsp instead of tbsp or not paying attention to what cup size I am using! I think a kitchen scale is so great to have, even though I tend to measure everything out! I've never used a scale when baking, Something to considered. I never thought about it to be honest, I primarily measure. However when my husband is training for his Ironman triathlons - the day before he actually weighs it all before cooking.